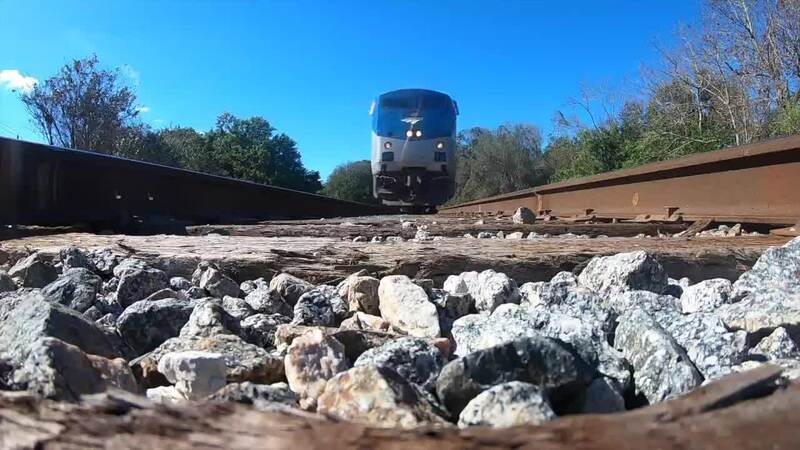 Winter Haven residents are fed up with the noise from crossing trains, and they're urging the city to create quiet zones. WINTER HAVEN, Fla. — Winter Haven residents are fed up with the noise from crossing trains, and they're urging the city to create quiet zones. One crossing at N. Lake Shipp Drive sees an average of 20 to 30 trains every day. Residents say for years more and more trains have been crossing, which doesn’t only increase the traffic, but also how many times the engineers are blowing their horns. Most recently, the City of Winter Haven conducted a study showing it could cost between $1 and $3 million to implement security measures to create quiet zones for specific parts of the community. Those measures include four-quadrant gate system, raised medians, upgrades to signal equipment and proper signage. The problem is, the money is not available and the city is responsible to make those changes before CSX can stop blowing the horn. The noise impacts at least 11 intersections with the Winter Haven area.